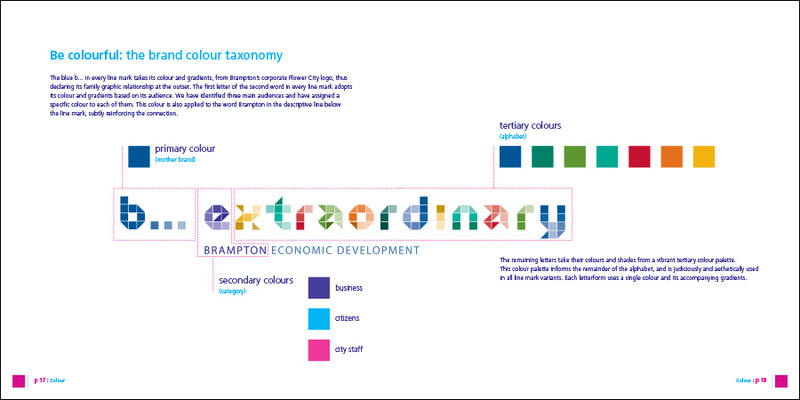 Brampton Economic Development - Segovia Advertising & Design Inc.
Segovia developed a comprehensive design program for Brampton Economic Development. 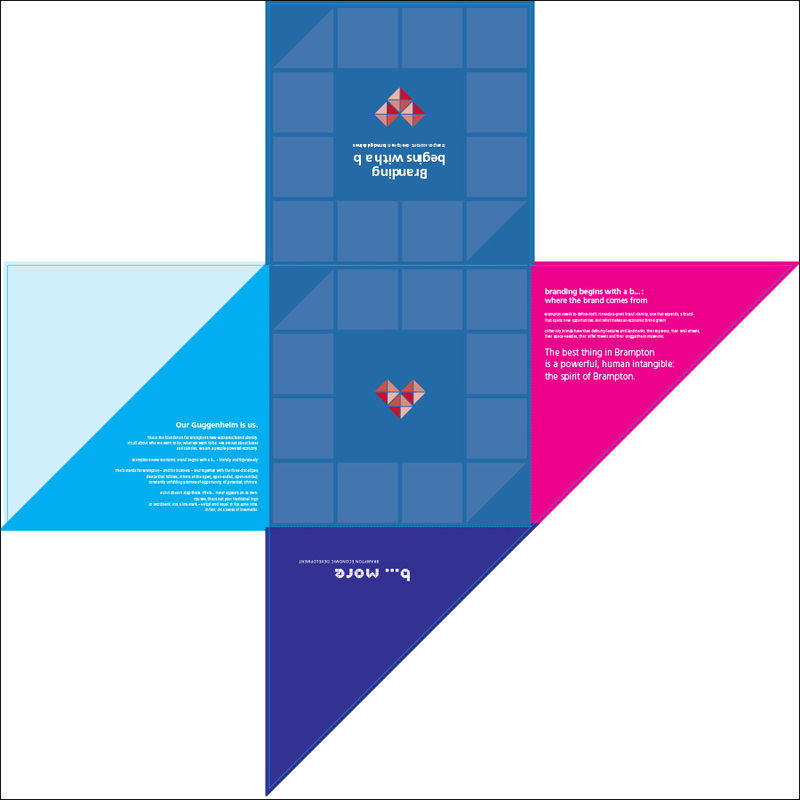 This program consisted of: Brandmark(s), a Brand Styleguide & Holder, Annual Reports, an Investment Map, International Brochures, Pincard Holders and other various collateral pieces. 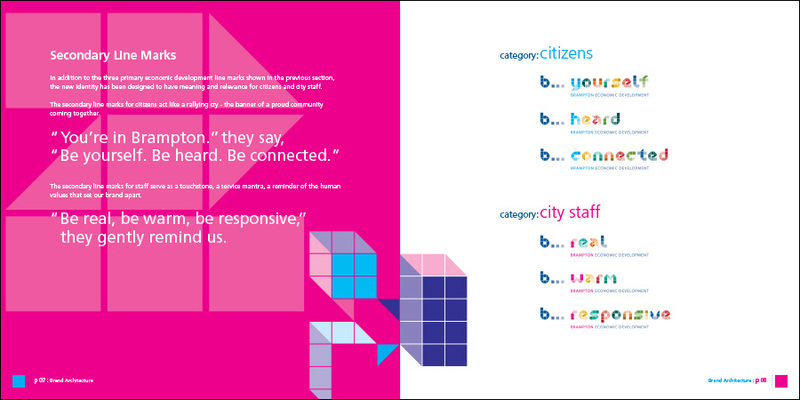 What set this brand project apart was the execution of several final brandmarks. 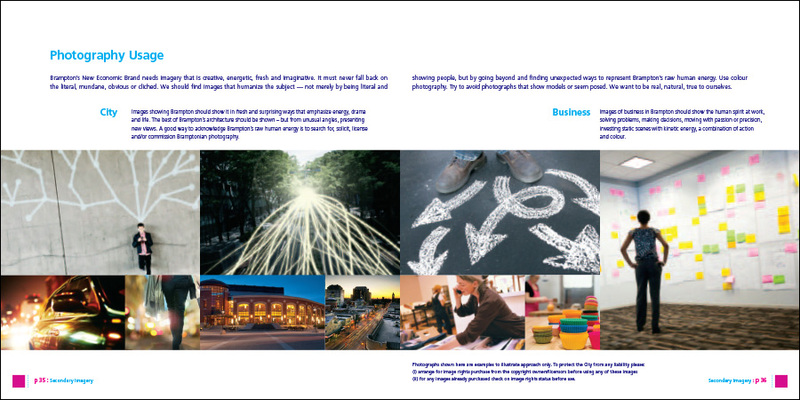 In fact, this brand lives not as one singular mark, but as nine (9) graphical expressions of the brand. 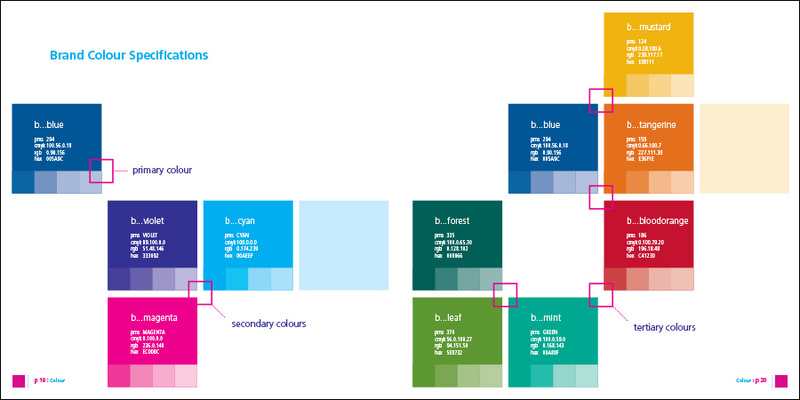 Furthermore, a well thought-out design architecture was needed in order to create coherence amongst the individual brand expressions. 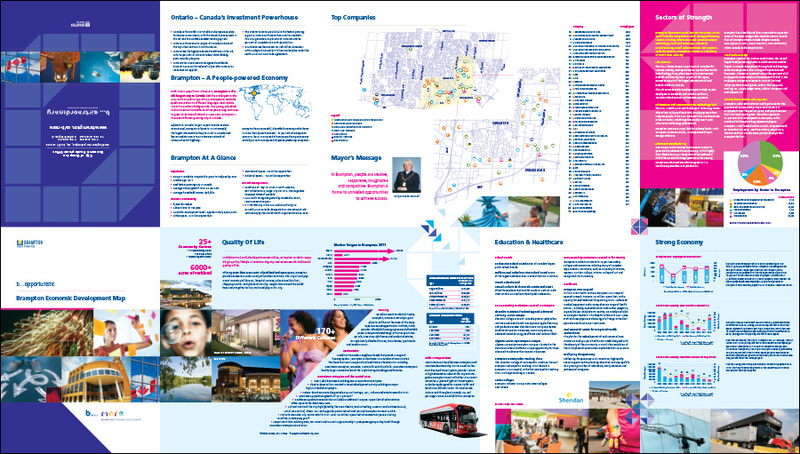 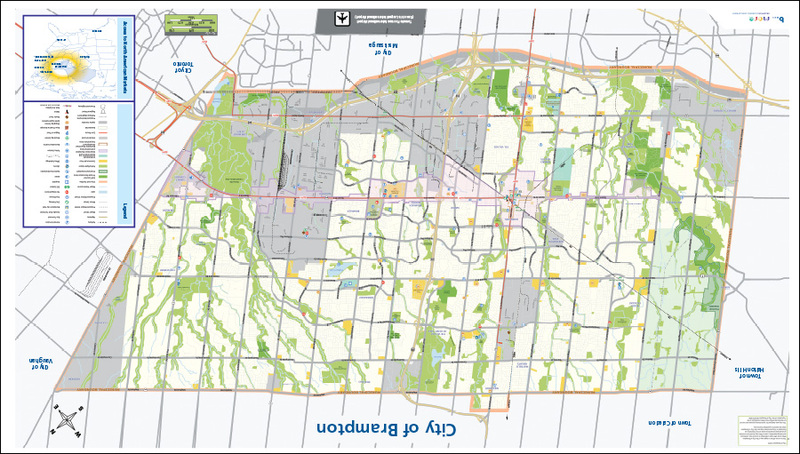 Below is the Investment Map – a large foldable piece that showcases Brampton’s Economic diversity along with key highlights and milestones. 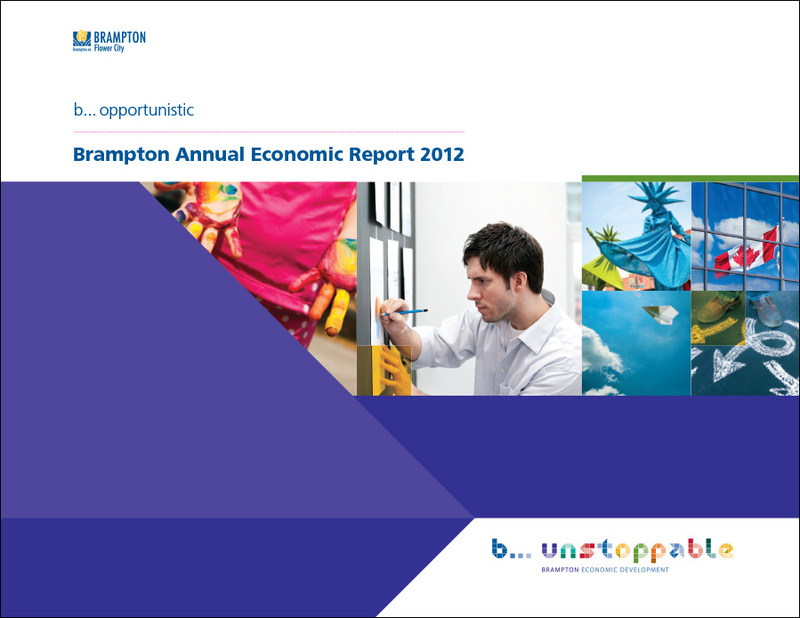 A formal Annual Report was designed. 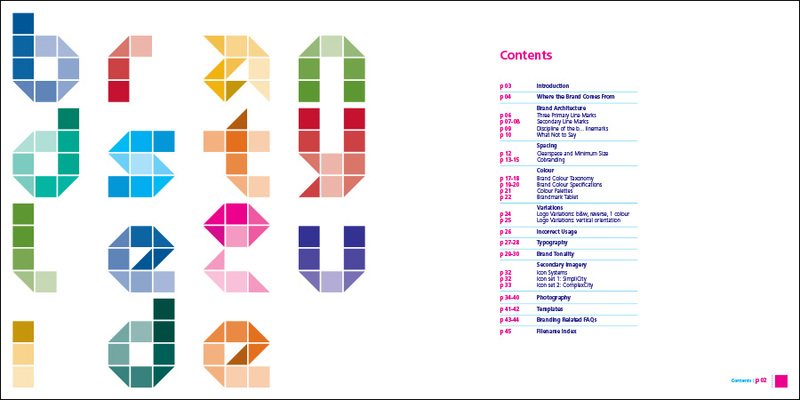 The Styleguide Holder, an interesting die cut piece held together the Styleguide, Annual Report and smaller collateral pieces. 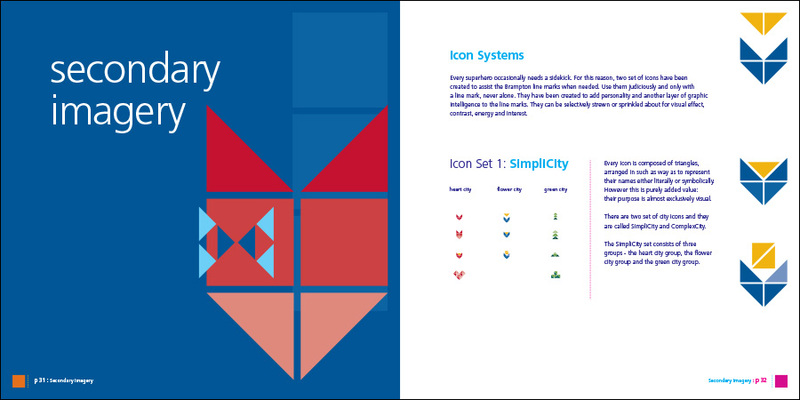 It folded out in a geometric shape reflecting the icon designs of the secondary image library. 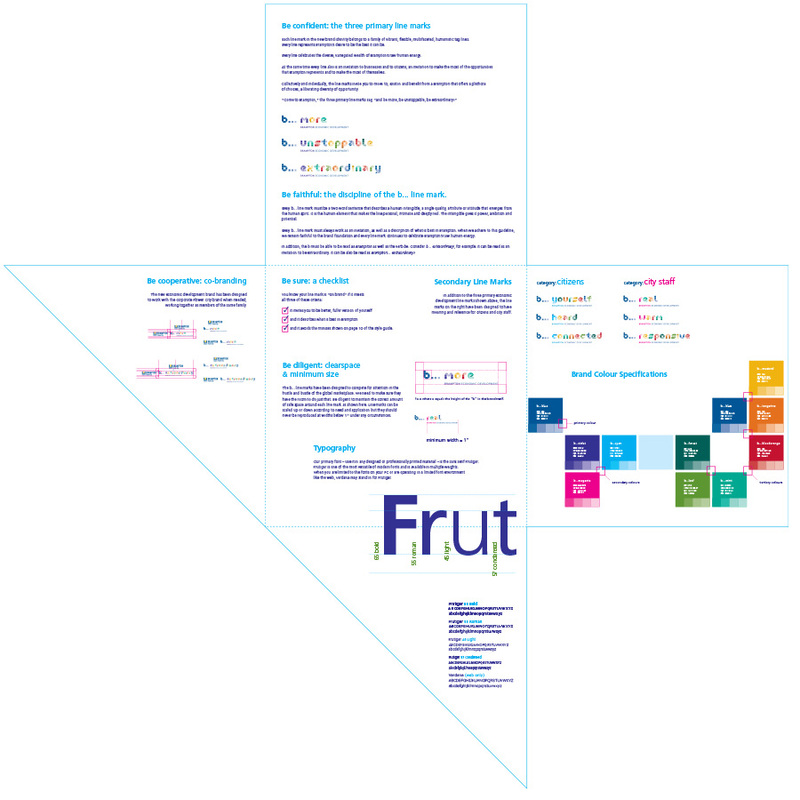 The back side served as a “mini-styleguide” showcasing the most important brand rules such as clearspace, colours, fonts and basic usage of the new brandmarks.